Advertising funding the Dublin Bikes scheme was called a “horrendous” obstruction for pedestrians by a city councillor last night. Councillors of Dublin City Council were debating the proposed Outdoor Advertising Strategy at a meeting on the draft development plan. “I don’t doubt of a moment that the Dublin Bikes scheme has being a success but I have always said that the cost of selling our public space on our footpaths for me was always too high and I think we need to have a full and rigorous assessment of that,” said former lord mayor Cllr Emer Costello (Labour). 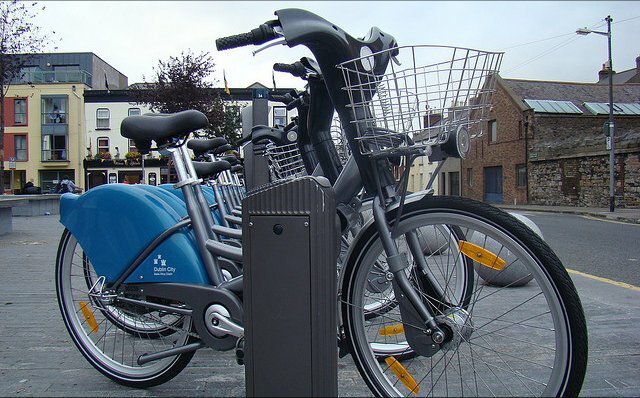 Dublin Bikes is rated as the most successful on-street bicycle rental system, with over 31,000 long-term and 10,000 short-term subscribers. Funded by extra street advertising, the council is to proceed with providing 100 new bikes, extra capacity at current stations, and new stations at Smithfield, Eccles Street, Harcourt Terrace, and Charlemont Mall. Meanwhile, Cllr Christy Burke (Independent) brought up the issue of advertising on hoardings with tables outside pubs blocking footpaths. City manager, John Tierney, said this is a matter for the roads and transport department within the council. It rents footpath space under the condition that sufficient space is left for pedestrians, and any issues should be reported to them. The manager suggested that the Outdoor Advertising Strategy be kept in the draft development plan and for it to be put out for public consultation and then returned to the council later this year for further debate before the plan is fully adopted. This approach was agreed.